The ADA makes it illegal to discriminate against people with disabilities in matters of public services and accommodations. Unlike other laws, the ADA makes it an employer’s duty to make reasonable accommodations for qualified disabled workers. In this article, you will learn what constitutes a disability and an accommodation, and you will learn more about workers’ rights to collect Social Security Benefits in Arlington Heights. Employers must only accommodate employees with known disabilities. If you need these accommodations, simply request them; as soon as you make a request, the employer is required to respond. If an employer does not make accommodations after a request is made, you may have grounds for a discrimination suit. Federal and state laws protect workers from such discrimination, and you should hire an attorney to discuss your case. An employer is not required to accommodate a worker if the accommodation imposes undue hardship, which is any action carrying significant expense or difficulty. Some courts interpret this as meaning that the benefit to the employee should not exceed the burden upon the employer. If you have lost your job because of your disability or because you requested an accommodation, or if your employer does not accommodate you within a reasonable amount of time, you may have been discriminated against. 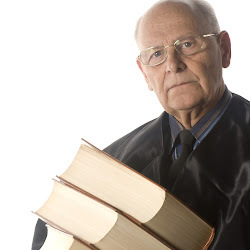 You should hire Nash Disability Law to discuss your legal rights and possible remedies.